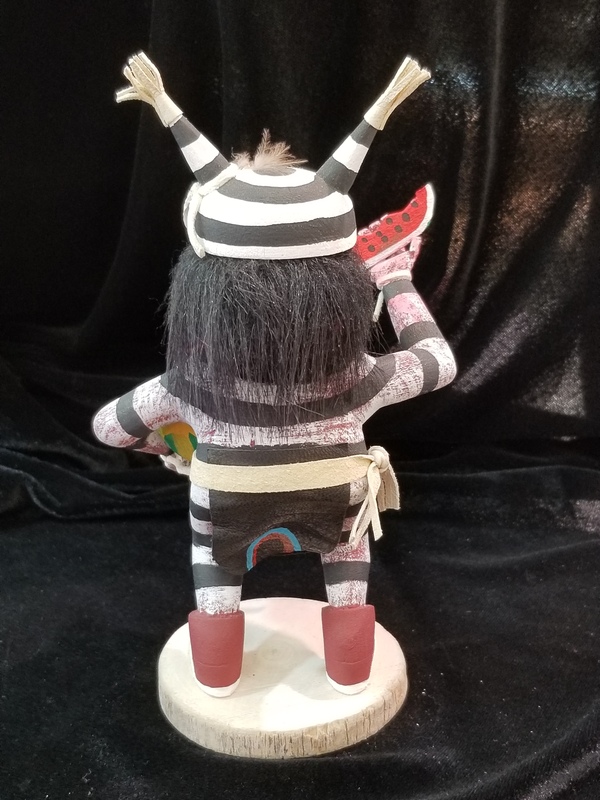 A Navajo katsina CLOWN by Alford Benally. Clowns are entertainers in between ceremonies to lighten up the seriousness of the annual dances. 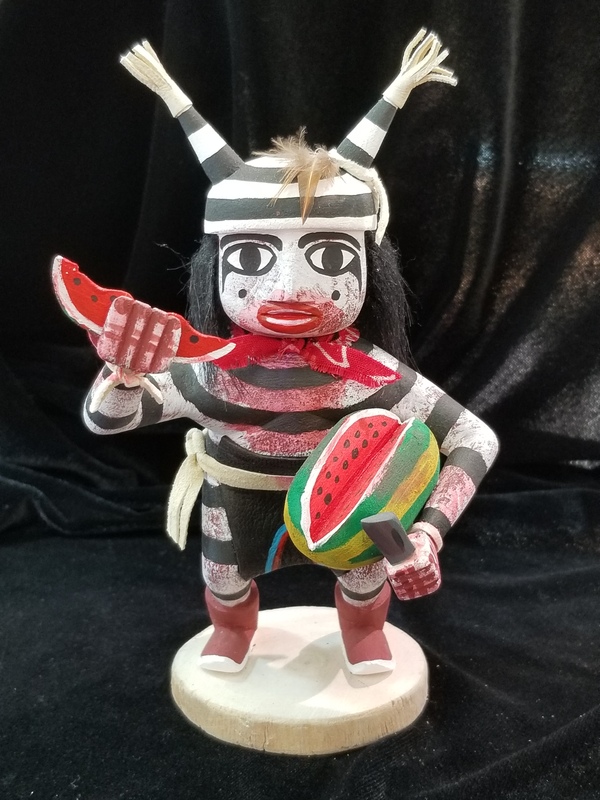 The Navajo love to make the clown katsina, they are found imitating all sorts of wrong doings! We offer complimentary gift wrapping, just ask! Navajo katsina CLOWN by Alford Benally. Navajo katsina’s are more affordable than Hopi katsina’s. They use fur, feathers, and suede for decorating the clowns. Alford Benally is known for the clowns and clown trees. Which we also carry.